Days on which events are occurring are coloured pink. The monthly TCC meetings start at 7pm and are held in Tintern Village Hall. The public is welcome to attend and we have a public forum at the beginning of each meeting where issues can be raised. For further information and any queries about TCC matters, please contact the Clerk (Liz Greatorex-Davies) at clerk@tinterncc.co.uk or see the TCC website. 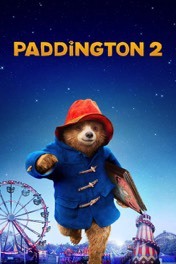 This is perhaps even better than the first Paddington film which turned into such and unexpected global phenomenon, attracting adults and children in equal numbers. Perfectly balanced between heartwarming family fare and a purely enjoyable all-ages adventure. 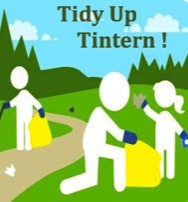 Help give our village a spring clean. Litter pickers, hoops and bags provided. Please bring gloves and, if you have one, a hi-vis jacket. One of the best quiz nights ever, for teams of four, tickets £10 to include hot supper (Butter Chicken or Vegetable Curry) from The Anchor Inn. To book phone Helen Carter on 07432 511102 or email at helencarter2006@yahoo.co.uk All in support of Tintern Fete being held on Saturday 30th June 2018. 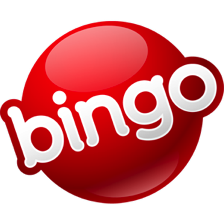 Quiz Night at The Sloop, Llandogo starting at 8.00pm. £2.00 per person with all proceeds going to The Society for the Welfare of Horses and Ponies. Easter Bingo fun for all the family. Everyone welcome! Fundraising for the Village Hall - all proceeds go towards improvements and upkeep. Tea, coffee, soft drinks & Easter snacks available. Donations of prizes for the raffle also welcome! Join us to help plan for this year’s Garden Club Annual Show. Come along and help spruce up the Village Hall inside and out! 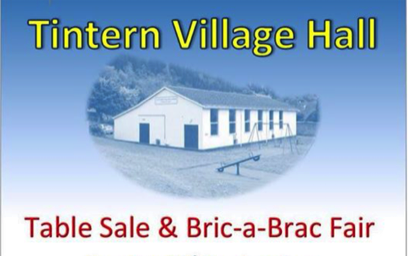 Come along to the AGM of Tintern Village Hall Management Committee! All residents in the Community of Tintern aged 18 and upwards are entitled to attend and vote at the AGM. If you feel you would like to become involved with the running of the Village Hall, we are always looking for new Committee members so do come along. An election is held to choose members for the next year. Come along to vote and have your say! The ever-popular Tintern car boot sale is back again complete with a tea room in the Village Hall. 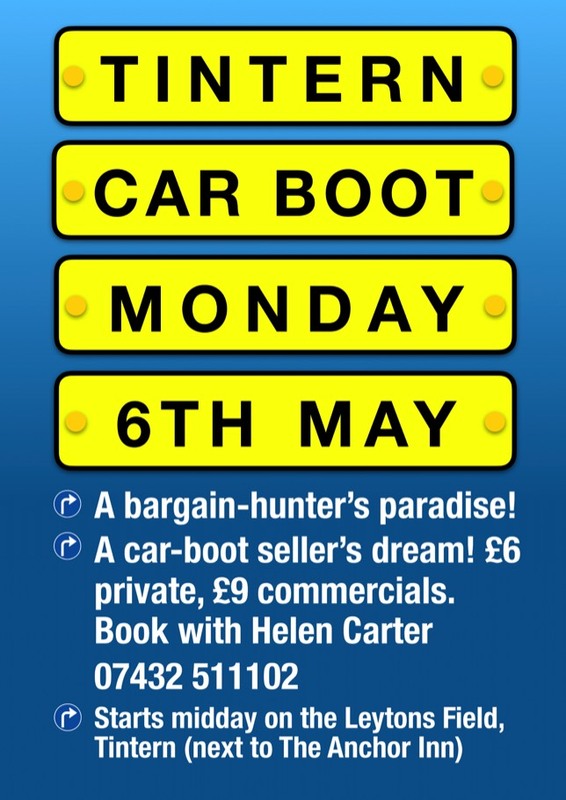 To book your pitch, call Helen Carter on 01594 531362 or email helencarter2006@yahoo.co.uk. Proceeds will go towards the Tintern Fete to be held on Saturday 30th June. 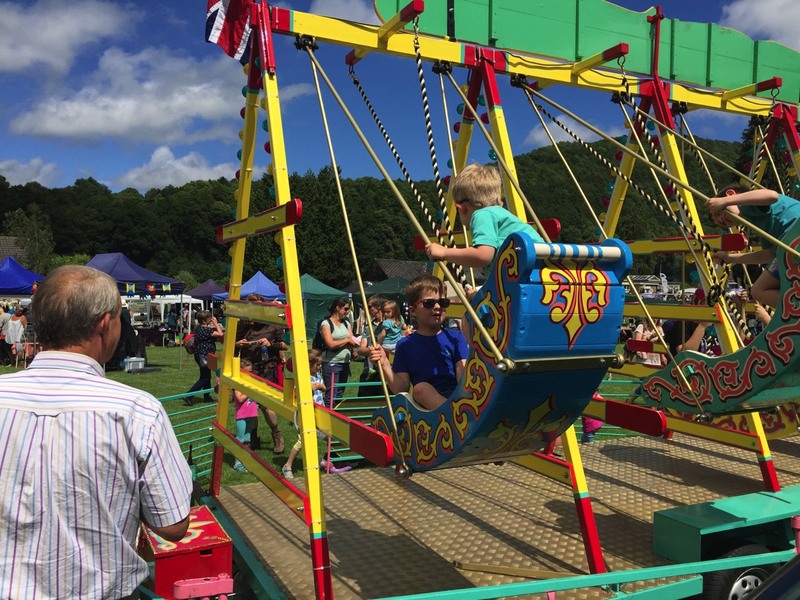 Now a fixture in the Wye Valley summer calendar, the Tintern Fete offers a magical mixture of children's attractions, day-long live music and singing, hot food, a bar, and a host of interesting stalls. Local crafts, arts and produce. Light refreshments and tasty bakes available. Free entry! Don't forget to keep Sunday 3rd June free so that you can join in and watch as 1,000 plastic ducks make their way along the river from Brockweir Bridge to Tintern. The race starts at 1.30pm. For more details on the race and on where to buy tickets, please see the Tintern Fete page. All proceed will be used in support of Tintern Fete taking place on Saturday 30th June. The Museum of the Moon is a unique and amazing lunar art installation by international artist Luke Jerram. 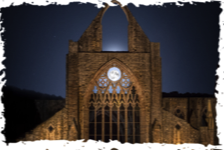 As night falls, a seven metre wide fusion of lunar imagery and moonlight, suspended high in the ruins of Tintern Abbey, will be illuminated, accompanied by a surround-sound composition from BAFTA and Ivor Novello award-winning composer Dan Jones. Using imagery from NASA, each centimetre of the sculpture represents 5km of the moon’s surface. Read more about the River Festival here. 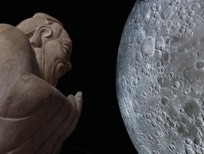 Join the Tintern Philosophy Circle in Tintern Village Hall at 7.30pm for a spot of philosophical moon gazing when they try to answer the question, ‘The Moon, what does it mean?’ Dr. John Clarke will give an illustrated presentation of the many meanings of the moon in myth, astrology, lunacy, science and space travel. This should put you in the mood to stroll across to Tintern Abbey to experience the Museum of the Moon. Read more about the River Festival here. Tintern Abbey has been a place of pilgrimage for hundreds of years. Join one of our three pilgrimage walks to the Museum of the Moon. 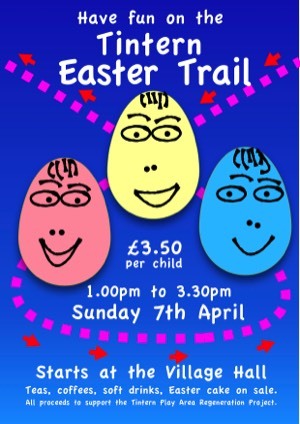 For more details about each walk please go to our River Festival page. 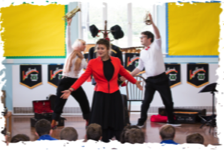 With live music and magical theatre this performance focuses on stories from the Forest of Dean, inspired by memories from Lydbrook Band and the local community. It’s a beautiful, heart-felt show suitable for all ages. Read more about the River Festival here. Bring a picnic, or visit the food stalls on site, and enjoy an evening of entertainment in the grounds of the Abbey, including the Singing Club, the Ronaldos and ‘Heart to Hart’ Festival show. Read more about the River Festival here. Indulge in a spot of moon bathing amongst the romantic ruins of Tintern Abbey. 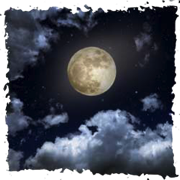 Meditations on the Moon is a guided meditation with Helen Stott. Reconnect yourself to the lunar energies! Read more about the River Festival here. St Mary's Churchyard maintenance day. In May we will walk through the churchyard, bashing the bracken as it snaps easily at this stage and this helps to control this pernicious weed. In July, the vegetation all needs cutting. Please come and help if you can to keep the churchyard accessible and the graves visible. The vegetation is then raked off a few days later to allow the meadow to establish. Meadow grass is shorter and easier to maintain containing many flowers. 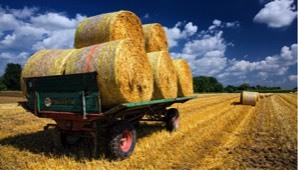 Traditionally meadows were grazed after cutting until the Spring. This is not feasible in an unfenced churchyard with no water or electricity and may offend visitors. Therefore another cut is required in October, leaving the grass shorter for the Snowdrops. In July, the vegetation all needs cutting. Please come on Sunday 22nd July and help if you can to keep the churchyard accessible and the graves visible. The vegetation is then raked off a few days later to allow the meadow to establish. Meadow grass is shorter and easier to maintain containing many flowers. Therefore another cut is required in October, leaving the grass shorter for the Snowdrops. We shall be there on Sunday 14th October. Amongst the Church Lads and Church Girls Brigade's many and varied activities, music plays a very important part in its skills development. 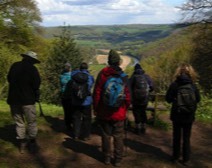 This day will be used to enjoy learning a little more in the company of others from further afield and will give us a chance to demonstrate what we are doing to a Tintern audience. Everyone, of any age, is welcome to come and join in and have a go. You can learn more about the Brigade here. We are launching the ‘Tintern Teas’ community tearoom on Friday 11th May 2pm-5pm in Tintern Village Hall. It’s for all ages, to try and bring the older folks and the youngsters together, over some tea and cake and a good chat. If this first session goes well, we will make it a monthly event. 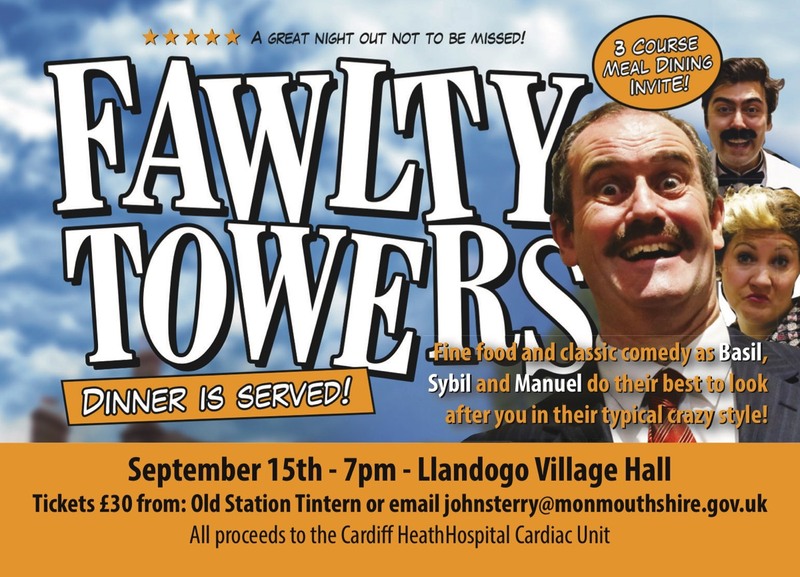 Organised and sponsored by Tintern Village Hall. Read more here. Come along to Leytons Field to enjoy an afternoon of cricket when Tintern Village play the Exiles commencing at 2pm. Refreshments are available locally from the Anchor, the White Monk or the Filling Station. See our Cricket Club page here. Come along to Leytons Field to enjoy an afternoon of cricket when Tintern Village play Yorkley commencing at 2pm. Refreshments are available locally from the Anchor, the White Monk or the Filling Station. See our Cricket Club page here. Come along to Leytons Field to enjoy an afternoon of cricket when Tintern Village play the Philanthropists commencing at 2pm. Refreshments are available locally from the Anchor, the White Monk or the Filling Station. See our Cricket Club page here. Come along to Leytons Field to enjoy an afternoon of cricket when Tintern Village play Primrose Hill commencing at 2pm. Refreshments are available locally from the Anchor, the White Monk or the Filling Station. See our Cricket Club page here. Come along to Leytons Field to enjoy an afternoon of cricket when Tintern Village play the Strollers commencing at 2pm. Refreshments are available locally from the Anchor, the White Monk or the Filling Station. See our Cricket Club page here. Come along to Leytons Field to enjoy an afternoon of cricket when Tintern Village play Grittleton commencing at 2pm. Refreshments are available locally from the Anchor, the White Monk or the Filling Station. See our Cricket Club page here. Come along to Leytons Field to enjoy an afternoon of cricket when Tintern Village play Camberley commencing at 2pm. Refreshments are available locally from the Anchor, the White Monk or the Filling Station. See our Cricket Club page here. Come along to Leytons Field to enjoy an afternoon of cricket when Tintern Village play Clytha commencing at 2pm. Refreshments are available locally from the Anchor, the White Monk or the Filling Station. See our Cricket Club page here. Come along to Leytons Field to enjoy an afternoon of cricket when Tintern Village play the Travellers commencing at 2pm. Refreshments are available locally from the Anchor, the White Monk or the Filling Station. See our Cricket Club page here. It's Welsh Wine Week and once more our favourite Welsh vineyard is hosting free wine tastings and free vineyard tours as well as having some special offers on its wines. Please visit our page for more information about Parva Farm Vineyard. The vineyard will be open every day from Saturday 26th May until the event finishes on Sunday 3rd June. Opening hours are 11.30am to 5.30pm. The 2018 Folk on the Lawn Festival takes place in Abbey Mill during four days, Thursday 19th July to Sunday 22nd July. Thursday is ticketed although the other days are free but donations would be welcome. 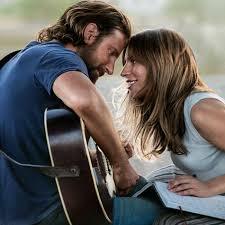 Folk on the Lawn, in various guises as a modest little event, has been running for some years now and it is perhaps a little unusual it has no budget whatsoever. It relies on the goodwill of those involved, including artists, staff, the Abbey Mill Centre, the good folk of Tintern and various other benefactors and supporters who lend the festival space, equipment, time and, not least, artistic prowess. Thursday 19th July is ticketed (prices to be announced). Other days are free (donations invited). The 2018 Folk on the Lawn Festival takes place in Abbey Mill during four days, Thursday 19th July to Sunday 22nd July. Amazingly, for such a small festival, it has in the past featured a number of international artists and signed bands and it is planned this will continue for this years event. Entry on Friday is free (donations invited). Entry on Saturday is free (donations invited). Entry on Sunday is free (donations invited). 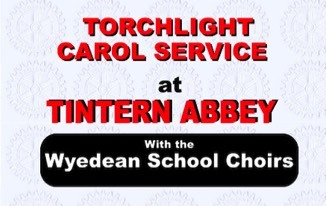 Mark your calendars, because a very special event is going to take place in September at Tintern Abbey. 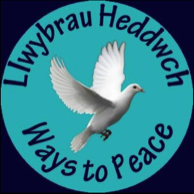 ‘Ways to Peace’ is a multicultural celebration, where everyone is welcome to attend. We have chosen three themes for the purpose of the event: inner peace, peace and nature, and peace between all people. Come along to Tintern Old Station on Sunday 24th June 2018 to take part in or just watch a Family Fun Dog Show. Show commences at 1pm and is planned to go on until 4pm. There are various fun classes to choose from and the entry fee is £2.00 per class per dog. The station's tea rooms are open all day serving a full menu of refreshments. Find out more about Tintern Old Station here. There are lots of classes to choose from the show schedule from flowers to veg to crafts and some for the kids. There is no entry fee and no prize money, it is just a bit of fun and some friendly competition. Go to the Garden Club page for more details and a show schedule. As there is no seating in the Abbey please bring folding chairs. Lunches and teas are available in the Village. Parking will be available, please be guided by our Stewards. It would be advisable to arrive in good time. Does Illness Have a Meaning? Journalist and editor of a national news agency, Judith Stares, will raise questions concerning the mind/body relationship and point to the need for a new vocabulary to describe disease and its effects. Please see the Philosophy Circle page for more information. Robin Attfield, now retired, was Professor of Philosophy at Cardiff University from 1991. His work currently focuses on ethics, philosophy of religion and environmental ethics. Topic: “Why give a damn? – Philosophy of Philanthropy"
An exploration of why people give money and support to help others and causes without material benefit to themselves. How have philosophers illuminated the subject from Plato and Aeschylus, to early religious philosophers, to George Herbert Mead, Adam Smith and contemporary thinkers? Is it just Western civilisations that support charities, or do other cultures too? How recent is the phenomenon? Indeed is it restricted to humans? And is it as "selfless" as it is often assumed to be?" Complimentary mulled wine and mince pies will be served in the interval. How can we understand the world in which we find ourselves? What is the nature of reality? Where does all this come from? Did the universe need a creator?" As a tribute to his achievements as a human being and a scientist, these and related questions raised by Stephen Hawking in his book The Grand Design will be the starting point of our discussion this month. Topic: "Confucianism: a timeless philosophy of universal harmony, or a narrow justification for authoritarian politics"
The talk will outline Confucian philosophy and examine its impact past and present. John has lectured on and written several books about Eastern philosophical traditions and their relationship with Western thought. Shakespeare was of course a dramatic and poetic genius, but he was also a thinker. His works suggest that he read Aristotle, Plato and Montaigne, among other philosophers. He was never didactic, but his plays explore several important themes and Steve Eddy will look at them in a number of plays. Punch and Judy free shows throughout the day at the Old Station, Tintern. Also why not have a go at long bow archery, suitable for 5 year olds and over between 11am and 4pm. £2.50 for 10 arrows. The award winning Old Station site offers the best of what Monmouthshire can offer with a Children's play area including a zip wire and is a great base for walks along the Wye Valley. The tea rooms offer a varied selection of food from 10.30am to 5.30pm. Learn more about The Old Station. Come along to the Old Station, Tintern to try your hand at a variety of crafts being offered in the Monmouthshire Youth Service craft tent from 11am to 3pm. Prices vary. Punch and Judy free shows throughout the day at the Old Station, Tintern. You can also visit the Animal Zone to get close up with a variety of reptiles and giant insects. Times to be confirmed. Come along to the Old Station and have a go at long bow archery, suitable for 5 year olds and over between 11am and 4pm. £2.50 for 10 arrows. Come along to the Old Station, Tintern and visit the Animal Zone to get close up with a variety of reptiles and giant insects. Times to be confirmed. Greta Gerwig reveals herself with Lady Bird as a bold new cinematic voice with her directorial debut. 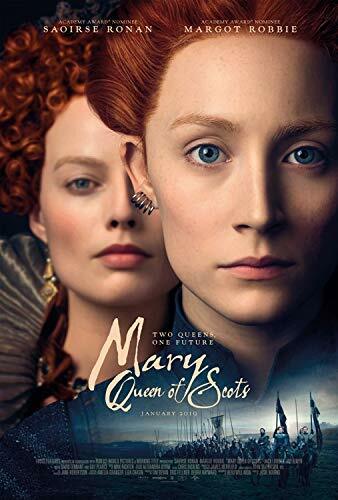 Starring Saoirse Ronan, Laurie Metcalf, and Tracy Letts. 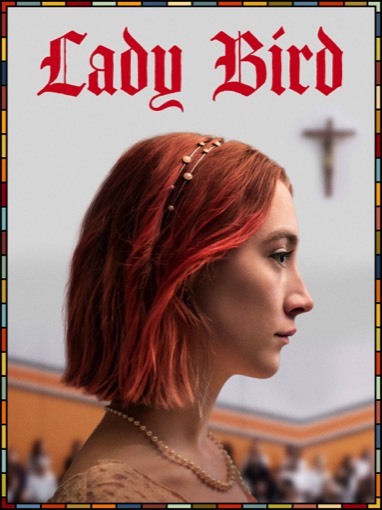 More about Lady Bird here. 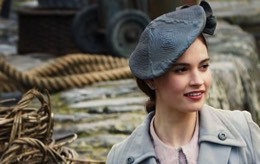 More about The Guernsey Literary & Potato Peel Pie Society here. 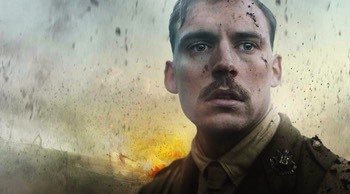 More about Journey's End here. 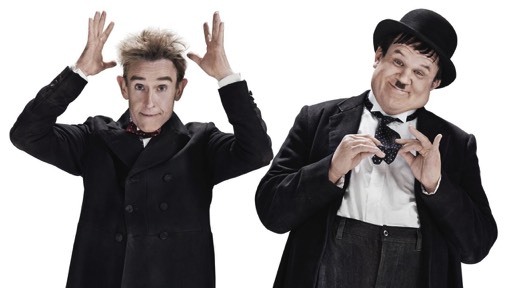 Here's your chance to see this wonderment again (and, if you want, sing along and tap your toes). "Just surrender cuz you feel the feeling taking over!" 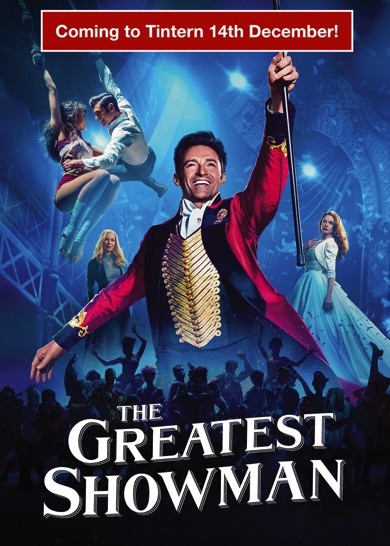 More about The Greatest Showman here. Free entry to see and purchase wide variety of craft items, local produce, books and lots more. Light refreshments and tasty bakes throughout! Tables can be booked by calling 07512 856024. War often seems an absurd and irrational activity yet nearly a century since the end of the First World War - supposedly 'a war to end all wars' - we are still bombarded with daily news about the violence of war between peoples, The talk explores the view that war is related to our beliefs and our worldviews, to the underlying values and assumptions which guide us in our individual, social and political lives. The 'Why war?' question anticipates the Ways to Peace Festival taking place in Tintern Abbey on 21-22 September. Join us to give thanks for all we produce from the land and sea. 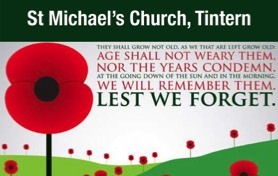 The service begins at 10.30am and everyone is welcome. 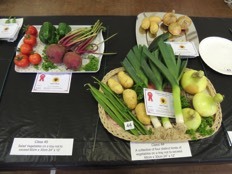 All gifts of produce will be given to the Chepstow Food Bank. A very festive Eyes Down! Your number's up so come along to the village hall on Tuesday 4th December to join in the fun. Teas, coffees, soft drinks and snacks available through the evening. All proceeds to go towards improvements and upkeep at the village hall. 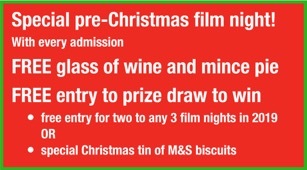 Just the ticket for some brilliant Christmas gifts! Local crafts, gifts and produce plus a grand Christmas Raffle. Light refreshments and mulled wine. Further details from 07512 856024. 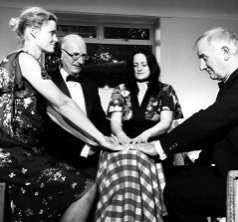 Brockweir Amateur Dramatic Society (BADS) presents Noel Coward's Blithe Spirit. Coward's wit was at its peak when he wrote this comedy of manners and the stellar cast have thrown themselves into this seasonal production directed by Alison Macklin. BLITHE SPIRIT will be performed on October 19th at Mackenzie Hall, Brockweir and on October 20th at the Assembly Rooms, St Briavels. Tickets are £8.00 and are available at the The Brockweir and Hewelsfield Village Shop or can be reserved by emailing alisoninbrockweir@yahoo.co.uk or calling 01291 689995. Tickets are also available at the door. All profits will go to local charity SARA. For details see the listing above for 19th October. The venue for tonight is The Assembly Rooms, St Briavels. No appointment needed, parking available in hall car park. If you are unsure if you should have a jab please seek advice from the surgery, telephone 01291 689355. The Health Information Roadshow will be in attendance. Come along to a family bonfire night at The Fountain. We'll have a bonfire, fireworks (and please bring at least one with you) and our own Fountain-reared pork roast at £5 a serving plus a veggie option and other great treats. See more here. Marking the 100th anniversary of the end of The First World War, this service will remember all those who have suffered and died in wars. We believe it is important to remind ourselves, while not romanticising or glorifying conflict, of sacrifices made and bravery shown in the face of danger. 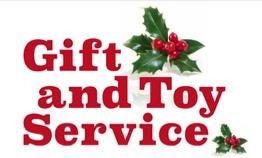 Our annual service to offer Christmas gifts which we donate to the Newport Women's Refuge. 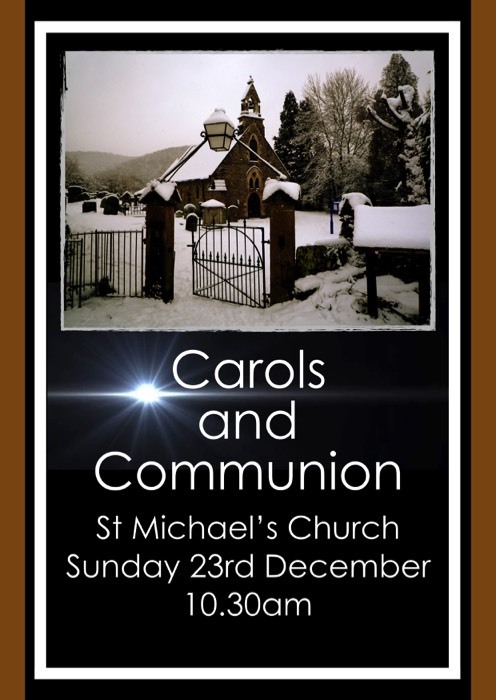 Everyone is welcome to join in or simply come ahead of the service with a gift. Just label your gift with a suggested age and gender. 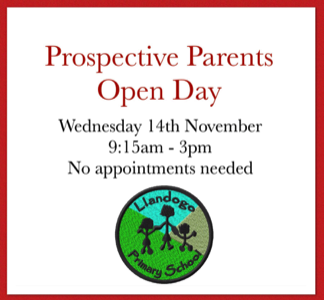 Llandogo Primary School is holding an Open Day on Wednesday the 14th of November for all parents and children who are due to start school next September. You will be very welcome to come along. No appointments are necessary. For any further information, please call 01594 530388. Find out more about the Philosophy Circle here. To see the Agenda, please go to the Festivals Association page. All proceeds will go to Rotary Charities. Entry by programme is £5.00 for each adult. Children under16 enter free. Assemble at The Anchor Inn, Tintern. Please bring suitable clothing and footwear for an outdoor event. Fiona May is a High Court judge asked to rule in the case of a 17-year-old boy whose parents are refusing him a life-saving blood transfusion because of their beliefs. To see more about this film night please click here. 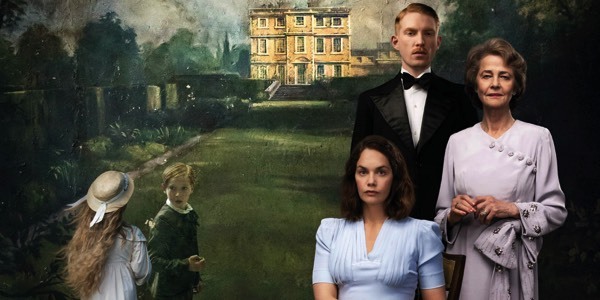 The Little Stranger takes its lead from the Gothic novel it is based on, posing the viewer with question upon question. 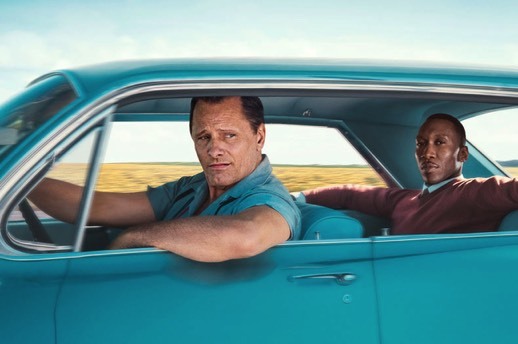 Winner of Oscars for best film, best supporting actor, and best original screenplay, Green Book is based on the real-life friendship between Tony Lip (Viggo Mortensen), a blue-collar Italian American, and Dr Don Shirley (Mahershala Ali), the cultured African American concert pianist whom Tony is hired to drive on a tour of the still segregated deep south. 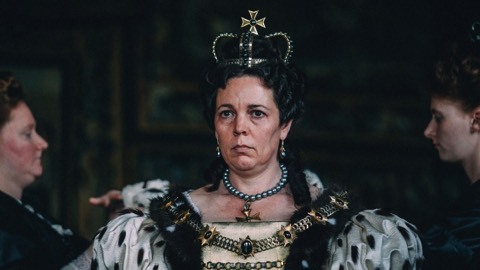 The acclaimed film which brought an Oscar for best actress to Olivia Colman. 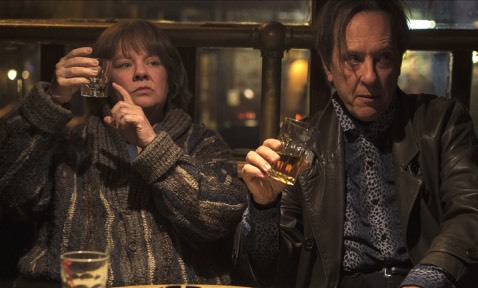 Film Night: CAN YOU EVER FORGIVE ME? New Year fun and a FREE three-course meal! 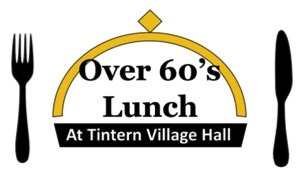 If you or your spouse/partner are 60 or over and live in the Tintern area, you are warmly invited to join us for a wonderful lunch in great company. Come along to Tintern Village Hall on Wednesday 16th January at midday. 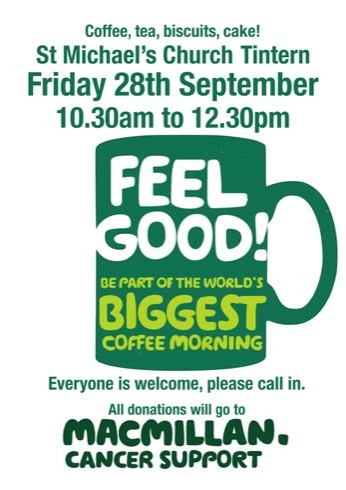 Please book your places with Jane, telephone 07512 856024 or email bookingstinternvh@hotmail.com. If required, meals can be delivered. Just let us know. Sponsored by Chapel Hill United Charities and hosted by Tintern Village Hall Management Committee with assistance from local businesses and volunteers. Celebrate this special night with your choice from three menus, each designed for sharing. Just £39.95 per couple including wine. Please click here to see the menus. Phone 01291 689303 to reserve a table. A fun evening of music. This is a Wednesday night, the same as our Pie & Pint night, so why not come down early have a Pie and then stay to enjoy the music. Phone 01291 689303 for more information. 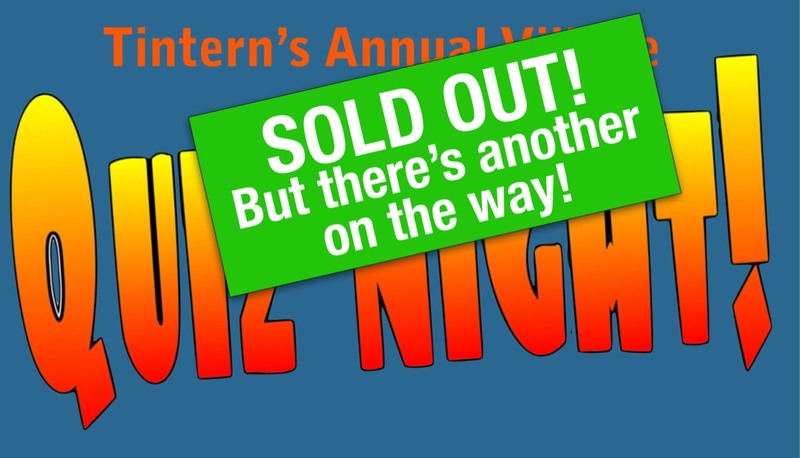 Could this be the best quiz night of 2019? All proceeds to help fund the Tintern Fete 29th June 2019. See more about Tintern Fete here. Come along and join in the fun and at the same time enjoy some great Royal George food! 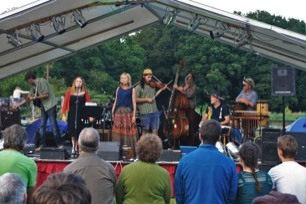 The Folk on the Lawn music festival is returning to Tintern this July. The programme is planned to include Jig of Slurs, The Lost Magpies, Adventures of Bert and Henry, Mud on the Tyres, Boxwood Chessmen, Town Musicians of Bremen, The Face that Boils Itself, Rob Connolly Band, Blind River Scare, Nick Puccaco, Melanie Pegge, The Hicksters and many more. This listing will be updated periodically, confirming performers and times for each day. Further information can be obtained by visiting the festival website. This year, as well as having a fabulous mix of children's entertainment, live music, stalls, bar, and food, we shall have some terrific space-themed events to help celebrate the 50th anniversary of the first landing on the Moon. Keep visiting the Tintern Fete page for more exciting details! The competition this month will be 'An Item with Birds or Birds On It'. The competition this month will be a photograph of plants which look good together. A visit to Woodview, Whitchurch, HR9 6DZ. 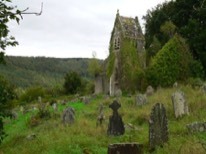 This is an approximately 30-minute drive from Tintern near Symonds Yat West. Click for more information on this garden. A visit to Woodhaven, Itton, NP16 6BX. This is an approximately 20-minute drive from Tintern. Donations of plants and other garden-related items would be much appreciated. We also need volunteers to help on the day. At Jim and Jackie Langdon's, Ty-Melyn, Ruffets Close, Chepstow, NP16 5BP. Set-up 9.00am to 11.45am. Show opens at 2.30pm and ends at 4.30pm. The competition this month is 'Leaf'. The competition this month is 'An Amusing Mug'. The competition this month is a photograph of a plant/flower. Everyone to bring a plate of food and something to drink. Festive family fun for all ages and helping to raise funds for repainting the outside of Tintern Village Hall. 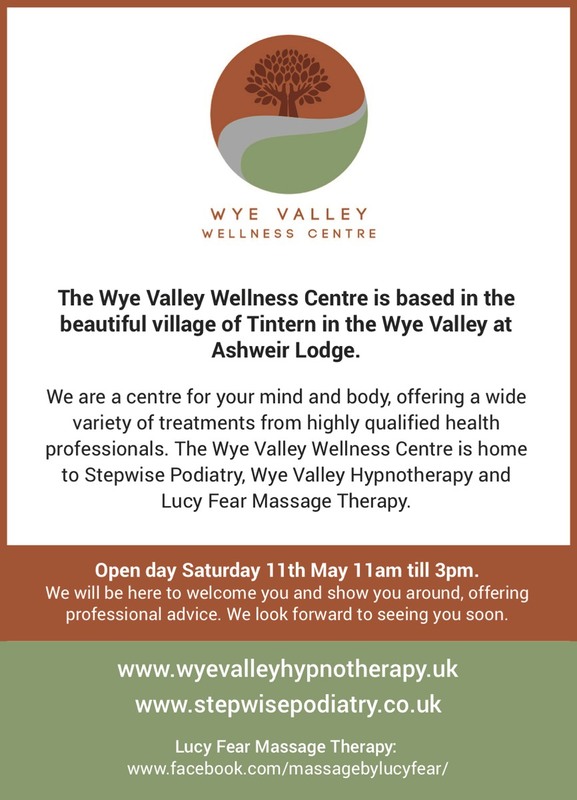 For further information please phone 07512 856024. More about the Village Hall. All residents of Tintern are invited to attend the meeting. The main focus for 2019/2020 is the play area and improving the external appearance of the hall so if you have any ideas or can help come along to the AGM. If you are interested in becoming a committee member, would like to makee a nomination or would like further information please contact the secretary, Helen Carter, by email at helencarter2006@yahoo.com. 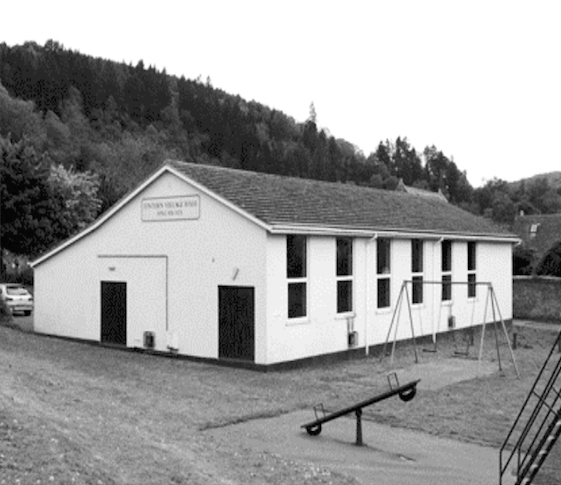 Tintern Recreation Centre and Village Hall is a registered charity and anyone appointed to the committee becomes a trustee of the charity for the duration of their appointment. Nominations will also be accepted at the meeting. An examination of the proposition, formulated by Immanuel Kant, that our imagination is central to our very way of being in the world. Bob Clarke pursued a career in science and engineering. He co-ordinated Workers Educational Association (WEA) philosophy courses in south-west London for over thirty years, which led him to take degrees in the History of Ideas at Kingston University and at Birkbeck College London.